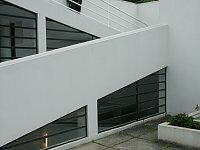 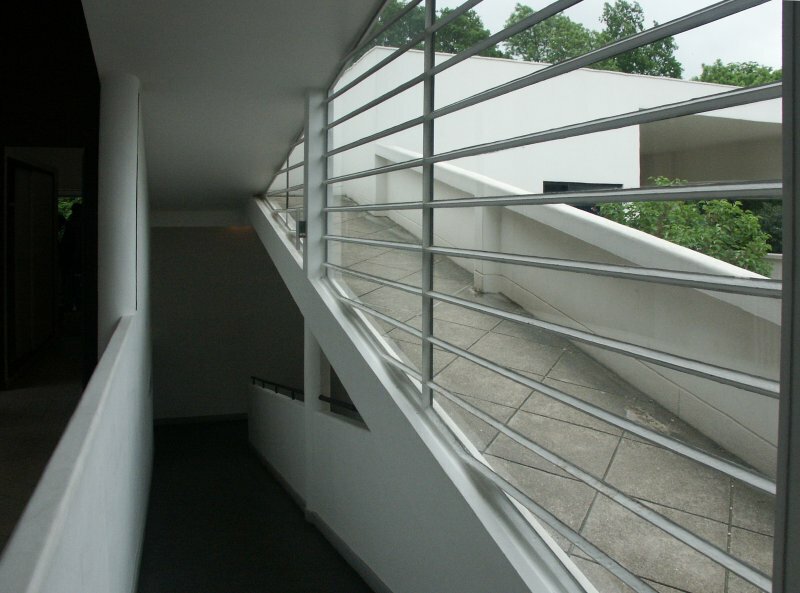 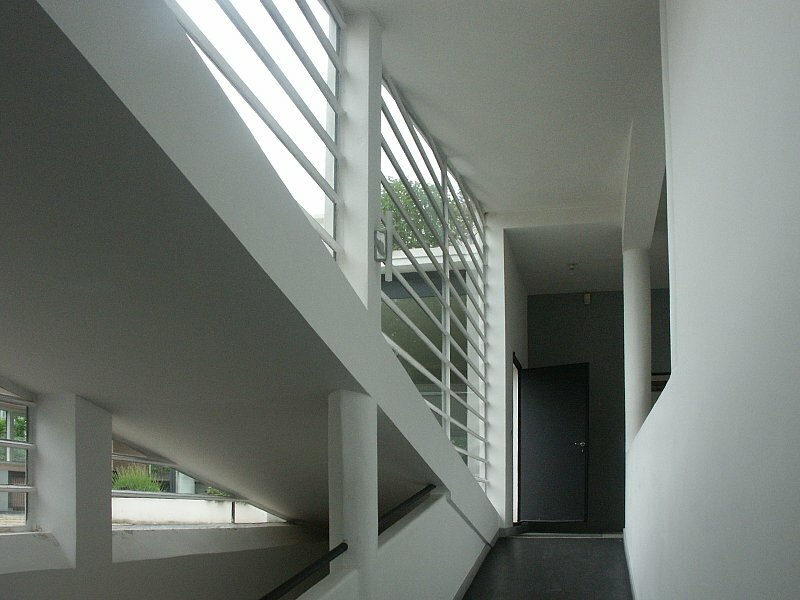 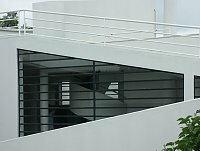 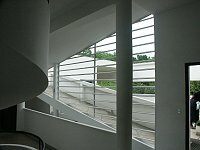 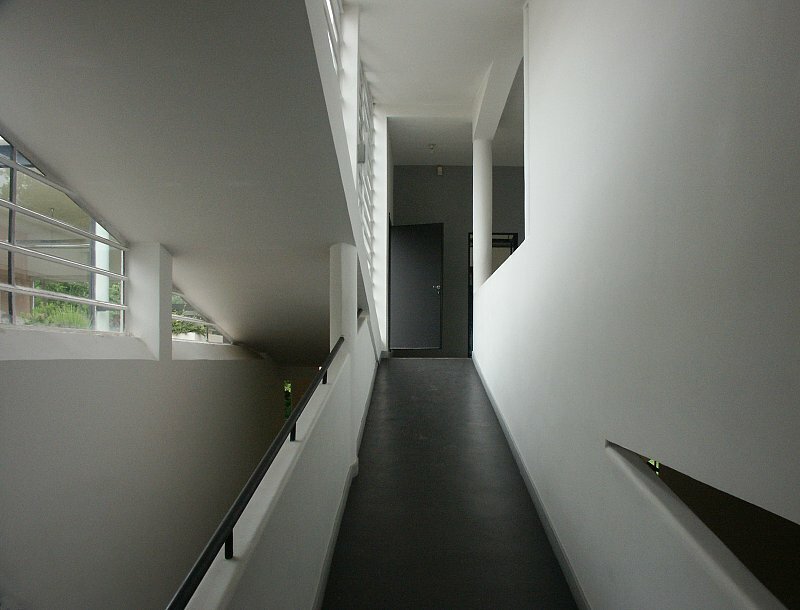 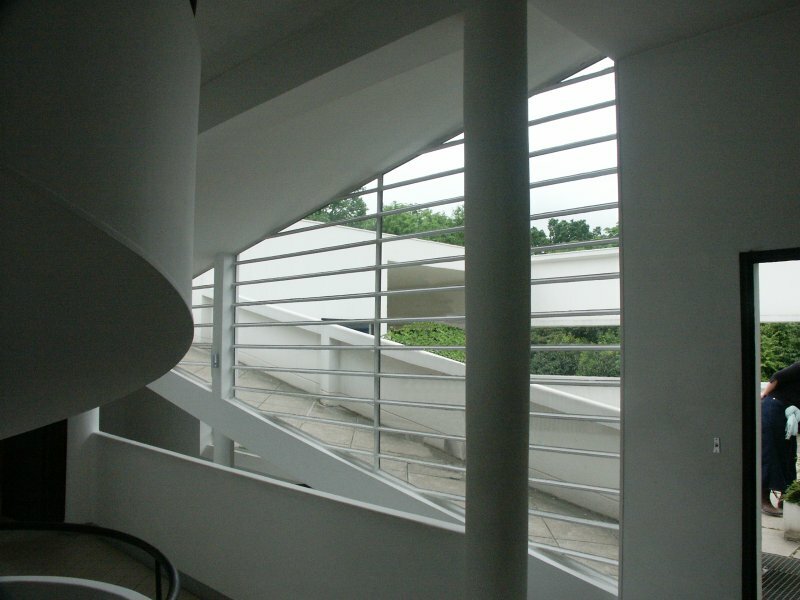 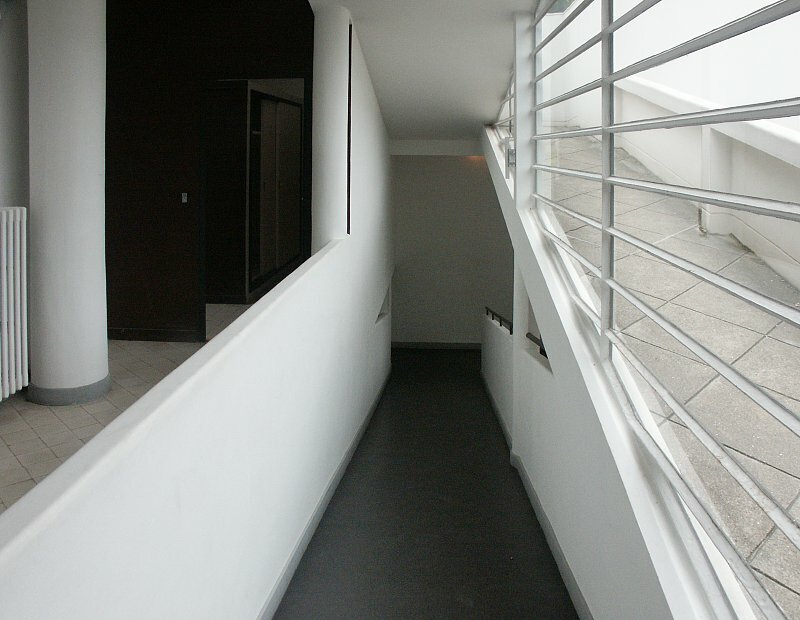 According to Le Corbusier, the ramp provides "a gradual ascent from the pilotis, creating totally different sensations than those felt when climbing stairs. 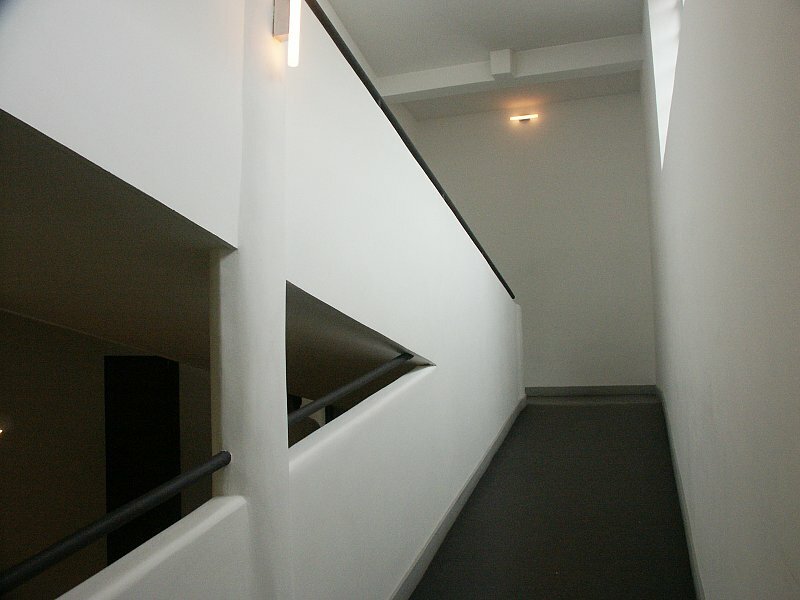 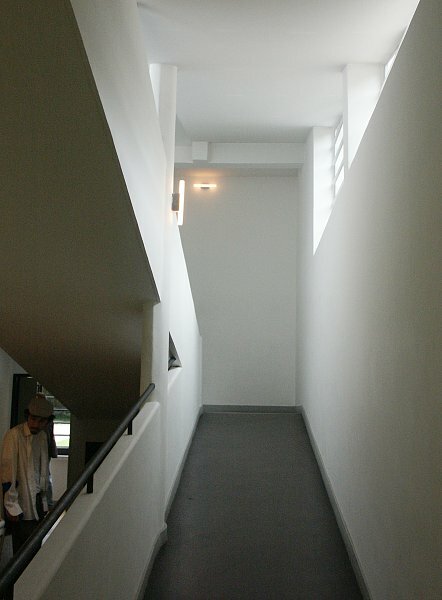 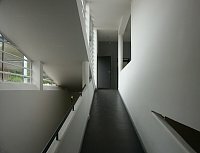 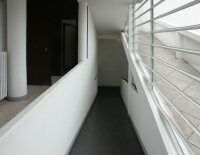 A staircase separates one floor from another; a ramp links them together" (quoted in Sbriglio 83). 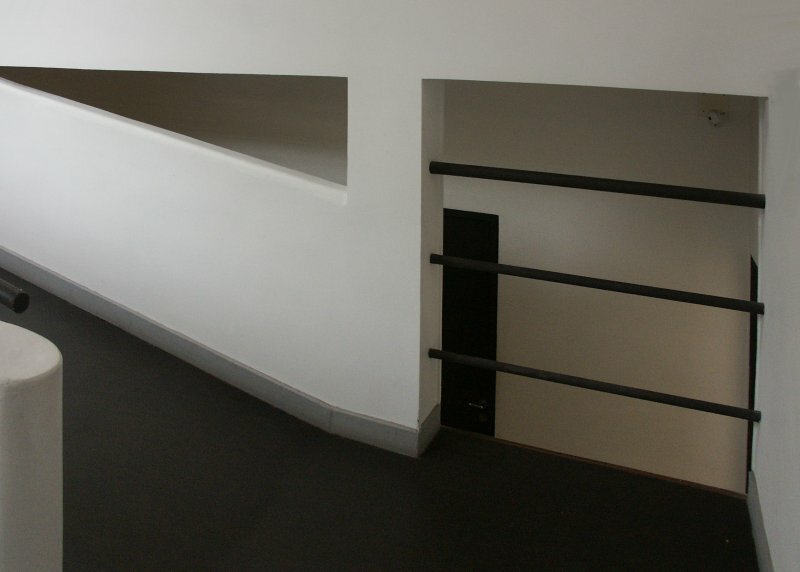 Whereas the walls and floor are white, the ramp is covered in dark gray rubber.